President Museveni has directed the Ministry of Tourism to patent ‘Pearl of Africa’ both locally and internationally as the country’s catch phrase in efforts to boost tourism. President Museveni, according to a State House statement, said the move would prevent other countries from using it. “I have learnt that another country is trying to patent itself as the Pearl of Africa. There have been complementary messages on the brand name for Uganda. Sometimes Uganda has been referred to as ‘Gifted by Nature’ and more recently people have referred to it as Irresistible Uganda. It is therefore necessary to have a clear defining brand that will eternally be marketed,” Xinhua News agency quoted Mr Museveni as saying. The President said it was necessary to have a clear brand for marketing Uganda and commended the private sector which has been vital in promoting Uganda’s tourism potential abroad for flying Uganda’s flag high and proud. Former British Prime Minister Winston Churchill in 1907 referred to Uganda as the Pearl of Africa after he was captivated by the country’s beautiful natural scenery. Since then Uganda has used ‘Pearl of Africa’ as its catch phrase to market itself as a tourist destination. Tourism is Uganda’s second largest foreign exchange earner after coffee. In 2010, the country earned over $600 million (Shs1.2 trillion) from tourism. 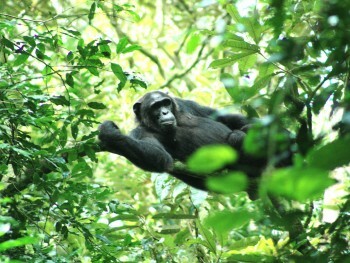 Lonely Planet, a famous travel guide magazine, voted Uganda the World’s best tourism destination in 2012. 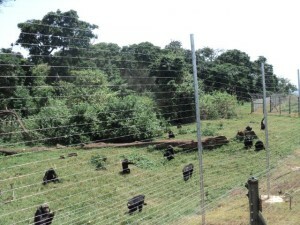 The country boasts of hosting the endangered mountain gorillas, being the source of the world’s longest river, River Nile and the beautiful scenery and wild animals. 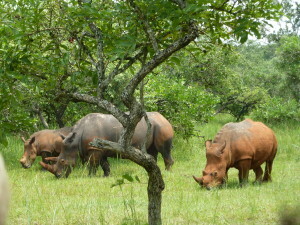 This entry was posted in Tourism News In Uganda and tagged Pearl of Africa, uganda by Gorillas & East Africa Safaris. Bookmark the permalink.